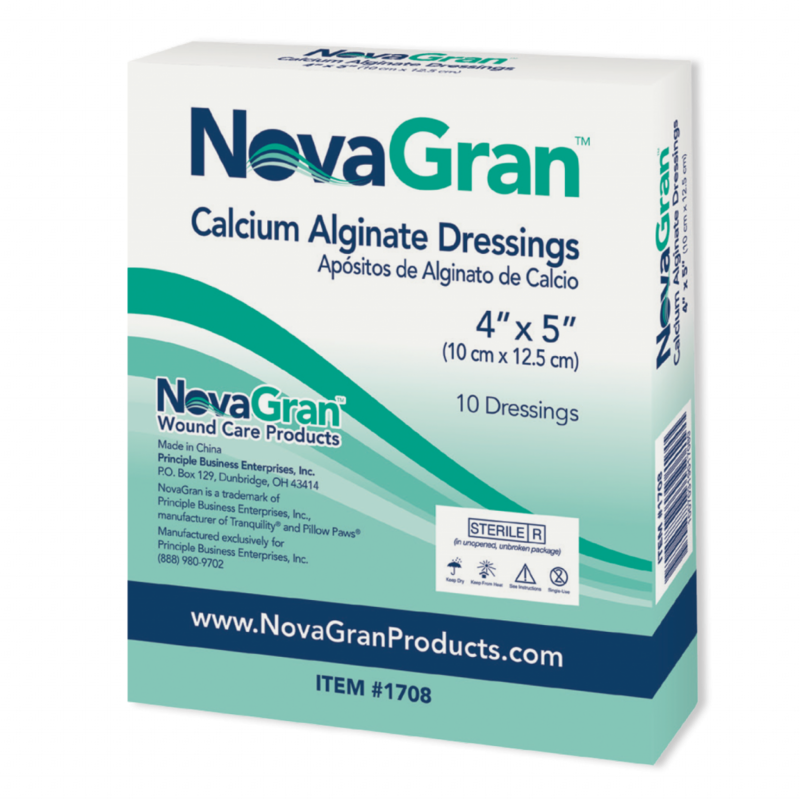 NovaGran Calcium Alginate Dressings (CAD) are sterile, non-woven wound dressings which are highly absorbent and conformable when moist. As wound exudate is absorbed the alginate forms a gel, which assists in maintaining a moist environment for optimal wound healing, facilitates autolytic debridement, and allows intact removal. NovaGran CAD are indicated for the management of moderately to highly exuding chronic wounds and acute wounds, and to control minor bleeding in superﬁcial wounds. NovaGran CAD can be used under the supervision of a healthcare professional on infected wounds or wounds in which there is an increased risk of infection.